Like Father release date was Friday, August 3, 2018. This was a Netflix Only release. 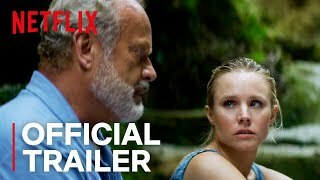 When a workahlic young executive (Kristen Bell), is left at the altar, she ends up on her Caribbean honeymoon cruise with the last person she ever expected: her estranged and equally workaholic father (Kelsey Grammer). The two depart as strangers, but over the course of a few adventures, a couple of umbrella-clad cocktails and a whole lot of soul-searching, they return with a renewed appreciation for family and life.